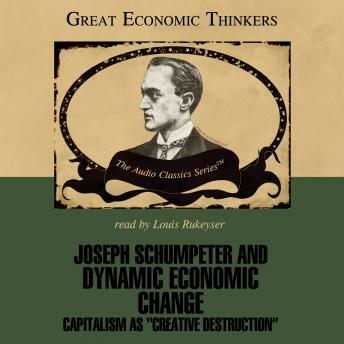 Joseph Schumpeter (1883-1950) viewed capitalism as a dynamic engine of progress. In his view, mature economic systems find a regular and stable routine of supply, demand, and exchange; Schumpeter called this the "circular flow". Entrepreneurs interrupt this circular flow with new ideas and visions about the economic future, recombining existing resources to create new and more valuable products and services. Schumpeter saw the freedom of innovation and exchange as the foundation of material progress in capitalist economies. Schumpeter called capitalism a process of "creative destruction" because it overthrows old routines and methods of production. But he recognized that this process is unstable, and therefore unsettling, for those who have become accustomed to established ways. Schumpeter predicted growing political opposition to capitalism and a corresponding growth in socialism, in the 20th century.